I was born in Nashville and have lived here most of my life. Over the years I've seen several movies or TV shows that have used the city as a setting or backdrop. Probably the most famous of those was the Robert Altman film, "Nashville" in the year 1975. A high school friend of mine, Bill Jenkins, had a small uncredited speaking role in the film; he played a local TV announcer (which he really was) at the old Berry Field airport who was awaiting the arrival of one of the characters. Altman's film was a critical and commercial success and won many awards, including an Oscar for best original song ("I'm Easy"). People in the music industry and in Nashville however, were not so pleased with the film. Wiki says (and I remember this response well), "The movie was despised by the main stream country music community at the time of its release; man artists believed it ridiculed their talent and sincerity." It's a good movie, but I have to agree with the Wiki quote. The country artists and their sincerity were ridiculed. And, by extension, so was the city and Tennessee in general. The film's depiction of country music celebrities and local people continued and expanded the "dumb ignorant hillbilly" stereotype. 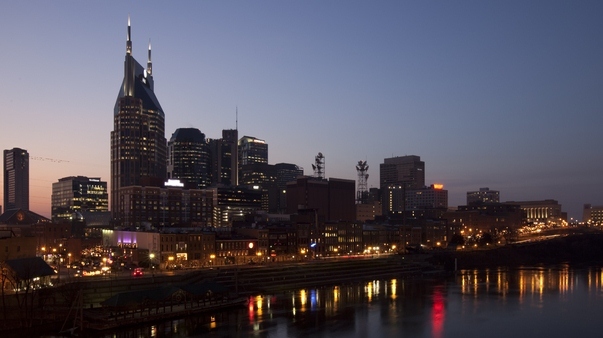 Several years ago at a conference I welcomed a large group of college educators to "Music City" and mentioned that it was also known as the "Athens of the South." Although I didn't intend it, the line got a laugh. But, I'm kind of used to that now, after seeing and hearing that stereotype perpetuated throughout my lifetime. The old ignorant redneck stereotype been overused and expanded to the point of meaninglessness. It's grown so that it now includes, not just southerners, but all those yokels in "red" states. And political pundits and biased MSM "journalists" are fond of referring to us as people in the "flyover" states. I have a strong feeling, however, that ABC TV's new series "Nashville" will not push that old stereotype, at least not as blatantly as did Altman's movie. Judging from what I've read about the series and the promotional videos I've seen, I would say that the characters depicted, at least the main ones, are smarter and much more sophisticated than the old stereotype. For example, Hayden Panettiere, who plays the young rising star, is said by some critics to be modeled at least a little bit on Taylor Swift. If that's a fair comparison, then making her character fit the dumb yokel stereotype would be impossible. The real Taylor Swift could probably buy ABC. The Tennessean's blog "music" provides a good overview of the series and its stars, so click on the link if you want more verbal info. And here's some visual info to whet your appetite, the official trailer for the series. And here comes my own promo. 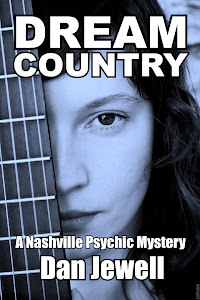 My two mystery novels, the award winning Blood Country and the paranormal mystery Dream Country, are also set in Nashville and feature characters in the country music business. The links in the left column will take you to a purchase page. Both are now only $0.99 on Kindle and Nook. And I guarantee you won't find any stereotypical rednecks in either of these stories. 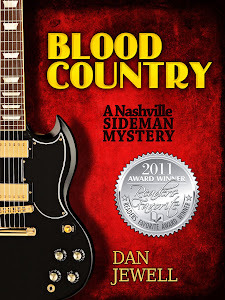 The productions standards are a little lower for the following video trailer for Blood Country, but so was my budget.